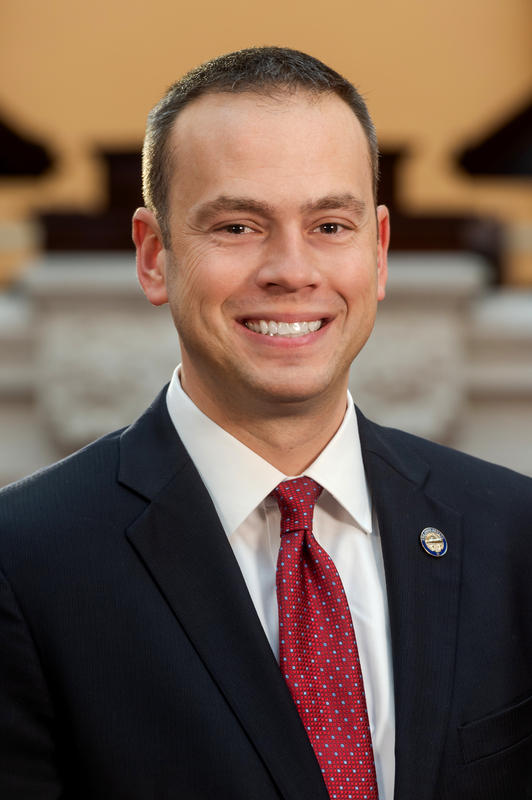 Senator Nathan Manning is serving his first term in the Ohio Senate representing the people of the 13th Senate District, which includes Huron and Lorain counties. He joins the Senate after serving two terms in the Ohio House of Representatives. He also previously served as a prosecutor for the city of North Ridgeville and currently owns the law firm Manning & Manning in North Ridgeville with his sister, Allison. After graduating from North Ridgeville High School, Senator Manning received his bachelor’s degree in Political Science from Denison University and earned his Juris Doctor degree from Capital University Law School. A lifelong resident of Lorain County, Senator Manning is active in his community and involved in several organizations including the North Ridgeville Chamber of Commerce, Lorain County Bar Association and the Lorain County Historical Society. Senator Manning currently resides in North Ridgeville with his wife Jennifer, a teacher at Lakewood High School.